Westland Gro-Sure® Rose, Tree & Shrub Compost, suitable for container plants or top dressing shrubs in borders. Gro-Sure® Rose, Tree & Shrub is a specialist growing medium, made by Westland Garden Health to give roses, trees and shrubs the best chance to flourish. Use this specially formulated compost to help establish newly planted roses, trees or shrubs. 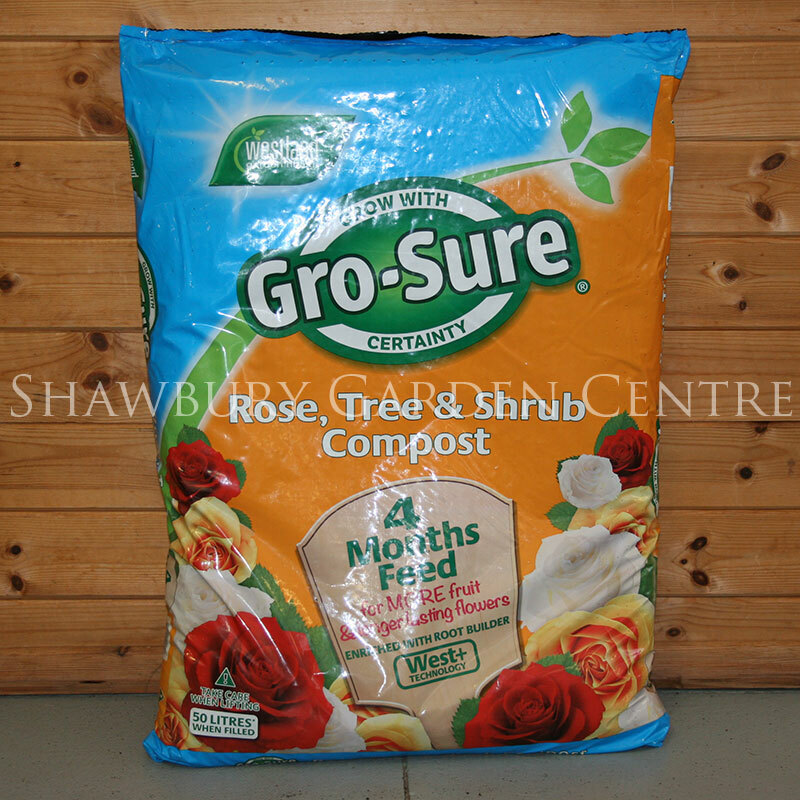 If you would like further information about Westland Gro-Sure® Rose, Tree & Shrub Compost & 4 Month Feed, please contact our garden centre at Shawbury just outside Shrewsbury in Shropshire, by calling 01939 251315 or emailing.